← Love is really much more than most people realise. Okay, you may be thinking right now “why would I ask for something I do not want”. Well you may be surprised to know that we are all guilty of asking for what we don’t want through our thoughts and the energy we create. This asking can be very subtle, in fact so subtle, you will not even be aware that you are creating it. Many of us get caught up in attachment to experiences and outcomes that we continually get pulled into something we do not want. The first thing we often do in a negative situation is grasp onto what we are experiencing. We get so focussed on wanting to get rid of it; we actually give lots of energy to it. In so doing, we actually get pulled more into it. If you were to totally accept this experience into your life, you set it free to move through you. In other words you “allow” and not resist. Allowance is a positive energy, which will increase the likelihood of a positive outcome. We only have negative experience because we do not allow the movement of Divine plan to move through us unhindered. 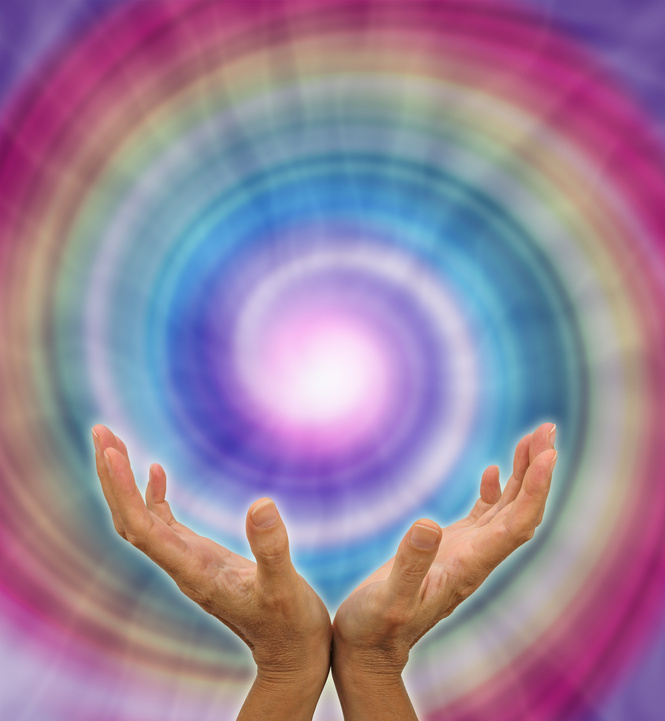 When we grasp or attach in any way, we create energy tension. Tension is always negative in outcome. Think about a negative experience you have had in the past and become aware how your body responds to this attention. Somewhere inside you will notice an energy shift. For example; you think about someone that you perceived hurt you and you immediately feel a tension or knot in your solar plexus or chest. Somewhere in your body there will be an energy shift of some sort, especially when it is a negative experience you are focussed on. This stored negative energy will create some type of tension or discomfort somewhere in your body. Okay, now that you feel this energy shift inside of you, acknowledge its existence, and say to yourself it is okay for this energy to be there. In other words, accept it in your body and life. Do not try to get rid of it, its okay. You may also get a sense of why you are holding on to this energy as well, or what issue you may be holding on to about another person. Accept that this is also okay. Once you have done this I am very sure you will notice a shift in the original energy, to one of more positivity. It will get lighter or even go away all together. These stagnated negative energies only stay in our bodies because we continually try to push them away, or are looking for ways to deal with, or remove them. We are not allowing them to be there, and it is this attachment to changing them, or wanting a different outcome that burdens our life, and holds them in our bodies. Nothing you will ever experience will be wrong for you in the big picture. However, how we all move through our experiences can dramatically differ depending on our level of attachment. Allow all experience into your life and watch positivity come flowing into your experiences. Watch your life get easier and better. Divine plan and its outplay is not full of negativity. It is not going to burden you. It has always been your creation of judgement, resentment, worry, fear, etc and attachments to beliefs and issues (all based on non-truth I might add) that make you perceive negativity and flaw in divine plan. Be allowing and detached in your day to day life. Approach all experience with love, grace and acceptance, and watch your life positively change before your eyes. This entry was posted in Uncategorized and tagged Acension, consciousness, Divine Love, energy shift, enlightenment, happiness, higher consciousness, law of attraction, meditation, negative experiences, philosophy, spirituality, trevor gollagher, universal consciousness. Bookmark the permalink.